'98 C2S. 27k. 1 owner. Black/Black. Aero Kit. 18's. 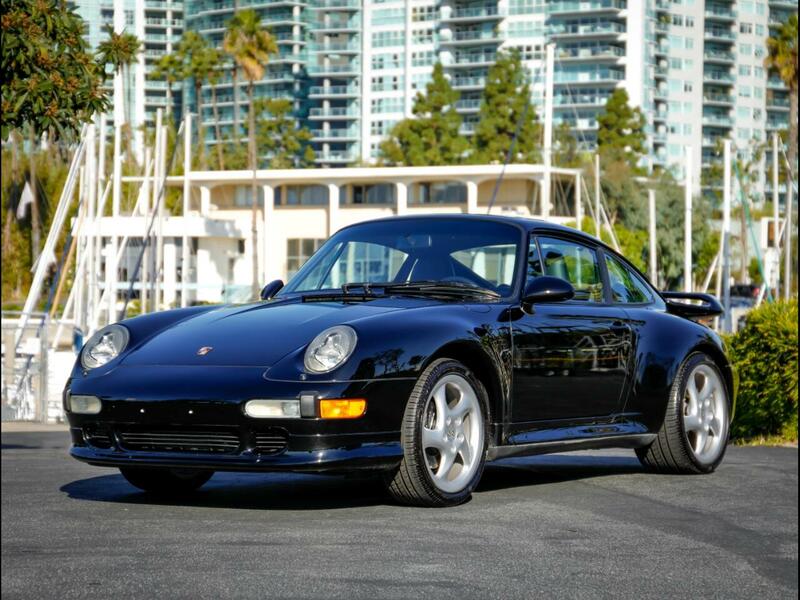 Chequered Flag International is pleased to offer this 1998 Porsche 993 C2S 6 speed in Black with Black interior. 27,960 miles with 1 Carfax Certified owner. Factory equipped with Aero Kit Turbo II F/R Spoilers, Motor Sound Package, Power Seats and Hi-Fi Sound. Perfect body with excellent paint, no dings, dents, scratches, (rear bumper has a couple of small marks). All stickers in place including option code sticker under the hood. Superb interior:- soft leather, uncracked dash. Excellent door panels, carpets and roof liner. Mechanically superb, just fully checked with major service including:- Fuel Oil and Air Filters, Spark Plugs, All Belts, changed Brake and Clutch Fluid, New Brake Hoses, A/C Service, New Hood Shocks, Shock Absorber Bump Stops, Trans Shifter Seal and Bushings, etc. Plus new Pirelli Pzeros all round. C2S, LAST YEAR, ONE OWNER, 28K MILES, BLACK/BLACK, AERO KIT, MOTOR SOUND. Comes with its books including maintenance book with option code sticker, window sticker, both keys, jack and tools, etc. Inspections encouraged. All sales AS-IS. Sales tax and license fees due if delivered in California. Message: Thought you might be interested in this 1998 Porsche C2S.